Recently, one of my museum pals, Susie Wilkening, put out a call for someone to help her with a special project. 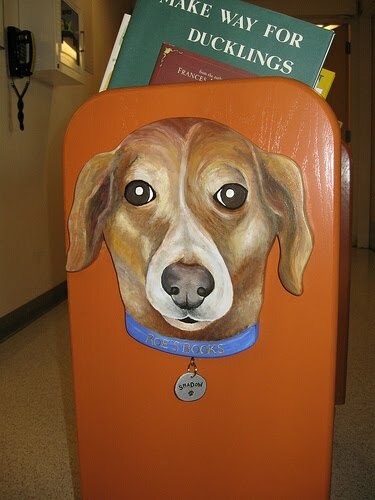 Susie and her husband Jeremy wanted to create a set of book carts for the NICU (Neonatal Intensive Care Unit) at Brigham and Women's Hospital in Boston in memory of their infant son, Roe, who lived for only a few days. 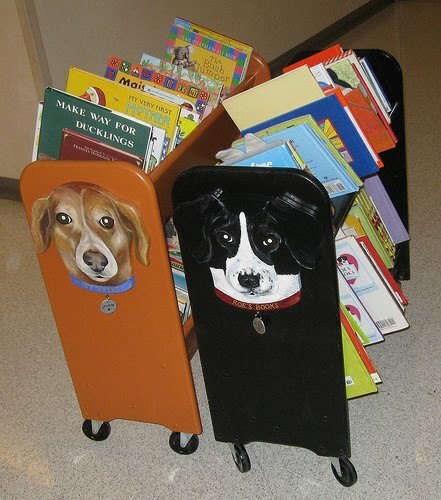 So, in collaboration with my cohorts at Kim Wagner Designs and DCM Fabrication, we put together the two carts shown here, based on the Wilkening's dogs, Shadow and Macie. Parents of very premature infants are often not allowed to hold their baby, sometimes for weeks. 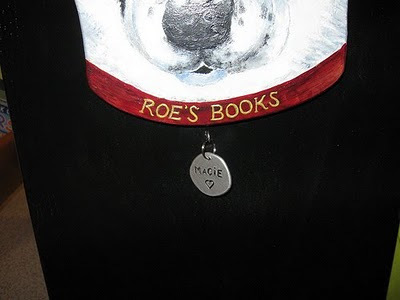 A way that many NICU parents like to feel close to their child is to read to them. But the Brigham and Women's NICU had no children’s books, so the book carts (and all the wonderful children's book they hold) serve as Susie and Jeremy's memorial to their son Roe. POW! was very happy to be part of this project and deliver the book carts in person to Boston.